Home CAR reviews Used cars Icon Buyer: new Audi S1 or used Lancia Delta HF Integrale? 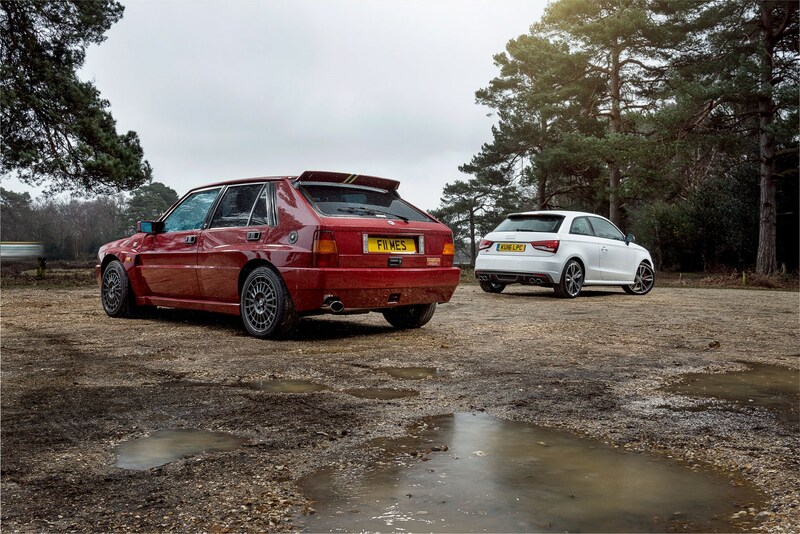 Icon Buyer: new Audi S1 or used Lancia Delta HF Integrale? 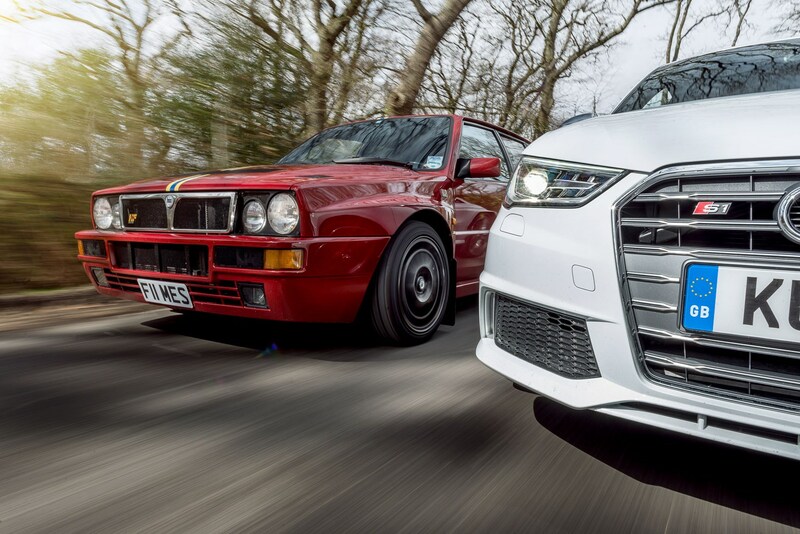 ► New Audi S1 or secondhand Integrale? Audi built its quattro legend during the 1980s World Rally Championship, but when the top-tier Group B category was cancelled in 1986, Audi quit WRC for good. Not so Italian rival Lancia, which developed its all-wheel-drive HF Delta for the new Group A rules. Group A cars were less spectacular, but with 5000 examples mandated – not the 200 exotics demanded by Group B – the link between road and stage was stronger; it was easier and cheaper to get the next best thing on your drive. 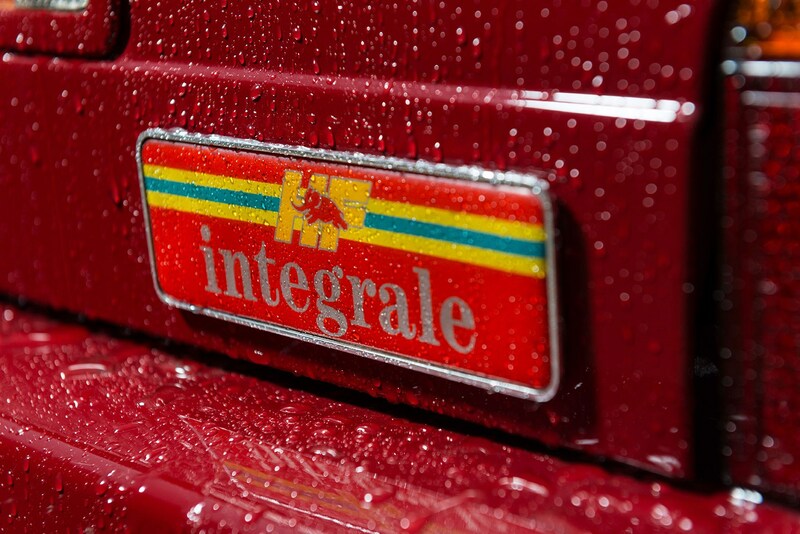 Today, Integrale values start from £10k, typically span £20-£50k, but can reach £100k. Meanwhile, the new Audi S1 retails from £24,730, and quattro is standard. Tickled with a few options, our car nudges £30k. It made us wonder if a genuine WRC homologation special with values on the rise could actually be a wiser investment than an all-new Audi with only the most tenuous links to Welsh forests. The Integrale bloodline starts with the Delta HF turbo and 4WD, progresses to the Delta HF Integrale (the first Integrale, yours from £10k) with wider arches, then a 16-valve version (£15-£20k) and onto the highly desirable Evo 1 (£25-£40k) and 2 (£40k and up). But Final Edition models are the Holy ’Grale, 250 run-out cars delivered to Japan in 1995. Owner Simon Russell has kindly loaned us his. It’s a great-looking car, the beefy spec crammed into a 4 hatchback body like too many clothes stuffed in a suitcase. The arches are stretched to house wider wheels and track and give more suspension clearance; the bucket seats allow my six-one frame an inch of headroom; and the 215bhp 2.0-litre turbo is wedged under the bonnet – and ahead of the front axle – like a map of the London Underground in an undersized frame. The Integrale is not an intimidating drive: the steering is a little slow but nicely assisted, the gearchange long-ish of throw but slick to slot, and although the brake pedal has a little too much dead travel, you can smooth the downshifts with some heel-and-toe magic like you’re Miki Biasion charging the Col de Turini. Fractious ride, though. The Integrale’s engine flat-lines below 3000rpm, but when the turbo kicks, it punches the car to 6000rpm with surprising ferocity. Naturally, all-wheel drive provides massive traction, and even feels sure-footed during the deluge we experienced. Use that traction, keep it lit, and this is still a quick car, its on/off delivery making it feel far punchier than a contemporary E30 BMW M3. The 228bhp Audi S1 is similarly boosty, and while it is more tractable, you still get that kick above 2000rpm. Switch to Dynamic mode and the throttle becomes keener, the rasping, slightly shunty delivery more intense. Flick through the slick six-speed ’box and you’ll arrive at Z before the Lancia’s even found B.
Adaptive dampers are standard-fit on the S1 with two modes: too firm and a bit firmer. Our car has the optional 18s, so the extra suspension movement in Efficiency mode is essential. Pity you can’t configure an Individual setting, matching the intense throttle with lighter steering and softer suspension. On twisty British tarmac, quattro feels sure-footed but responsive and adjustable too; you can balance it on the edge of adhesion and shift the torque around with your right foot. In Dynamic mode with traction control off, it’ll even powerslide out of wet T-junctions. And of course it’s an easier daily drive than the Integrale. 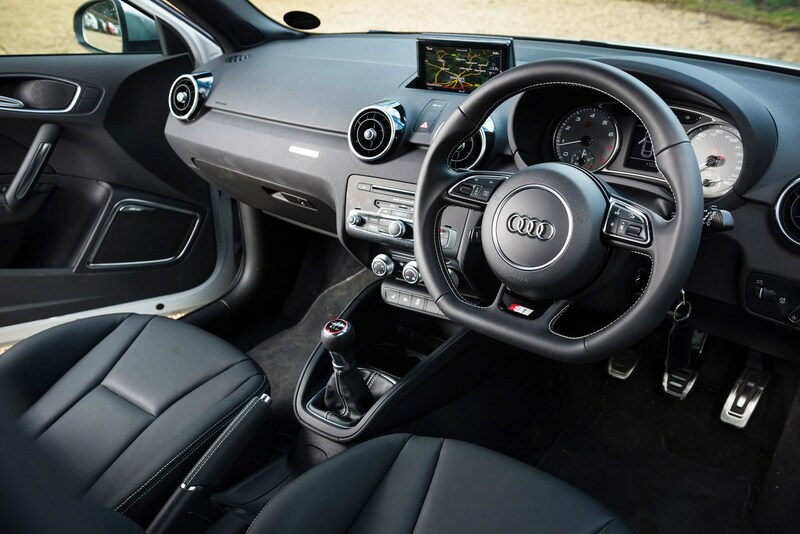 Looks a bit plain in white, though – the funky contrast roof and Design pack is probably a good idea – and the infotainment lags way behind the Virtual Cockpit available in the Audi TT. Auto Integrale near Reading (beenhammotcentre.co.uk) recommend an oil service for both 8- and 16-valve models at 9000km/annually for £144 all in. A full service is due at 18,000km/24 months for £396. The cambelt should be changed every three years or 20,000km for £384. Audi owners can choose from fixed (10k annually, harder use or city driving), or flexible servicing (18k annually, lighter use, non-urban driving). Based on fixed servicing and average main-dealer rates, you’d pay £137 (1yr/10k), £258 (2yr/20k), £281 (3yr/30k), £258 (4yr/40k), £200 (5yr/50k); with a flexible plan its £223 (1yr/18k), £258 (2yr/36k), £544 (3yr/54k). Adrian Flux Insurance quotes £250 fully comp for the Audi, £140 the Lancia for a 40-year-old male with a clean licence. Auto Integrale highlight corrosion as the Integrale’s biggest bugbear, with front chassis legs, rear inner arches, rear cross members and sills being key areas. Also check the front scuttle panel and rear roof section, and look for stress cracks on the A- and B-pillars. Common mechanical issues include gearbox bearings and oil leaks. Replacing gearbox bearings costs £1014. Oil leaks are typically traced to upper sump gaskets or head gaskets, with sump gasket replacement £834. Exhaust manifold studs are drilled through the oil ways on 8-valve models, and oil can leak down the studs’ threads. You’ll notice a burning smell. Turbo seals can fail on all models. Let the car idle for 15 minutes, and look for exhaust smoke. A replacement turbo is £880. 16v models also suffer from camshaft lobes wearing completely away. The car will still run fine unless two lobes on one cylinder have disappeared. Be warned: all Integrales use about one litre of oil every 1000km, so can run dry between services, causing most engine failures. Check regularly! Listen for a knocking under the front floor on Evo models. The drop-links that locate the anti-roll bar regularly wear out, costing £270. 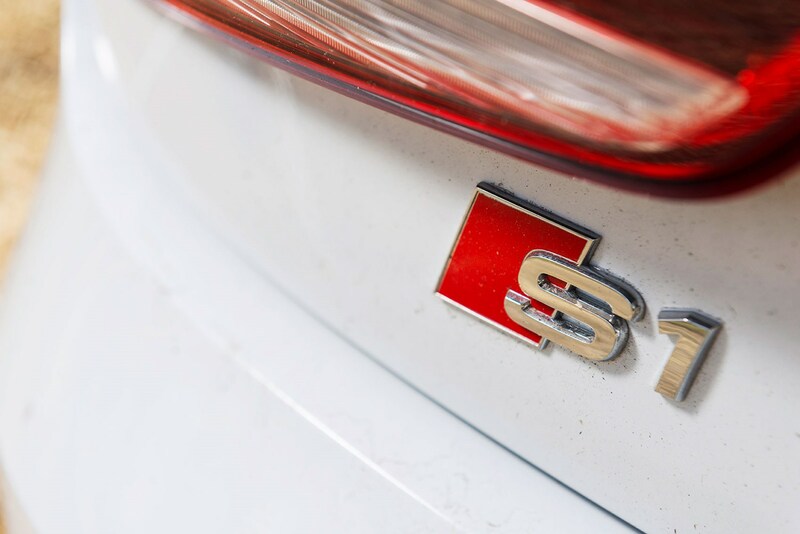 The Audi comes with a three-year/60k miles warranty, but owners can extend to four years/75k (from £235 for a basic A1) or five years/90k miles (from £500). Visit audi-extendedwarranty.co.uk for a quote. Specialists Auto Integrale say options for Integrale Evo models were restricted to 15mm lowering springs and a quick-shift gear lever with carbon surround. Similar power, similar weight, four-cylinder turbo power, all-wheel drive… Both Audi and Lancia share much, but they’re quite different propositions, and mostly your own circumstances will dictate your purchase. If it’s your only car, the Audi’s the only choice. Just don’t expect it to pull your heartstrings like the ageing Italian.